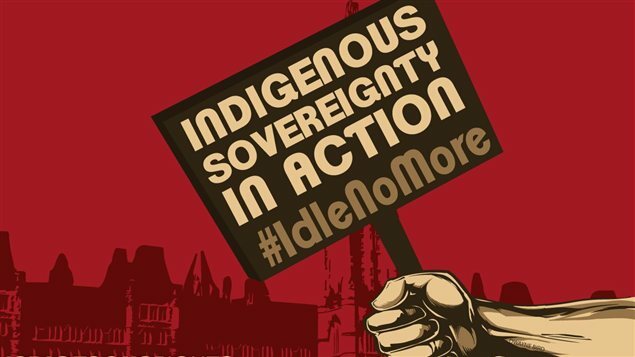 Idle No More is a movement for social justice for first nations, against Bill C-45 and the Harper government who is gambling away their land rights to favor corporations. It was launched on December 10, 2012 in response to the substandard treatment of Canada's indigenous people of Canada and the damage inflicted on the environment. The INM movement aims to reinstate the indigenous people’s due rights, mend the relationships between the indigenous peoples and the Canadian government, and come up with more sustainable development that will help preserve the environment. INM’s protests have received considerable backlash from politicians, the media, and Canadian settlers who believe that the indigenous peoples ought to follow an assimilatory agenda.